The Great Cholesterol Myth proposes that cholesterol is not the main cause of coronary artery disease. While this perspective might seem to be contrary to medical wisdom, the authors support their views with solid science. Recommended for: People with coronary artery disease...and those who wish to avoid it! • Jonny Bowden, PhD, CNS is a nutrition expert. In the early 1990's, he was working as a personal trainer. In the mid-1990's, he obtained a masters degree in psychology and a PhD in holistic nutrition. Dr. Bowden is a member of the American College of Nutrition and the American Society for Nutrition. In addition to this book, he has written 12 books on health, food, healing, and longevity; 2 of these have become best-sellers. At the time that this book was published, he was a co-owner of Rockwell Nutrition (www.RockwellNutrition.com), a company that sells dietary supplements. • Stephen Sinatra, MD, FACC is a board-certified cardiologist and a Fellow in the American College of Cardiology and the American College of Nutrition. He is an assistant clinical professor of medicine at the University of Connecticut School of Medicine. Dr. Sinatra is also certified as a bioenergetic psychotherapist and nutrition and anti-aging specialist. He is the founder of www.HeartMDInstitute.com. His web site is www.DrSinatra.com. Chapter 2: "Cholesterol Is Harmless!" Chapter 9: Putting It All Together: A Simple and Easy Blueprint for a Healthy Heart...and Life! Just the title of this book alone is controversial! The tag-line is: "Why Lowering Your Cholesterol Won't Prevent Heart Disease." With all the clinical research that has been done on cholesterol, how can this be true? The 3-page Foreword by Michael Eades, MD, and Mary Eades, MD, does a good job of answering this question and priming the reader for what the rest of this book delivers. First, it is important to clarify the difference between DIETARY cholesterol (ie., the cholesterol we consume from foods) and CIRCULATING cholesterol (ie., the cholesterol tests that your physician evaluates). Bowden and Sinatra downplay the contribution of dietary cholesterol's role in heart disease. In fact, they are correct when they state that dietary cholesterol doesn't contribute as much to your blood cholesterol values as was once believed. An incredible case published in the March 28, 1991 issue of the New England Journal of Medicine illustrates this: an 88-yr old man ate 25 eggs per day and still had a normal blood cholesterol level (Kern F. N Engl J Med 1991;324:896-899.). The explanation here is that the liver controls how much cholesterol circulates in your body. Just because you consume more cholesterol doesn't mean your blood cholesterol levels increase in proportion to that. Today, the general feeling in the medical community is that (a) dietary saturated fat and (b) refined carbohydrates cause more disruptions in your blood lipid levels than dietary cholesterol does. Bowden and Sinatra agree that refined carbohydrates are a problem (they discuss sugar's role in Chapter 4), but they don't feel that saturated fat is a problem either. A British physician, John Yudkin, from the University of London, wasn't impressed with Keys' research and reanalyzed the data. Yudkin found that the rates of cardiovascular disease in some countries differed widely even though their consumption of fat was virtually identical! Bowden and Sinatra claim that the Seven Countries Study set the medical community on the wrong path 60 years ago. Vascular inflammation (ie., not "joint" inflammation, which causes arthritis) is discussed in Chapter 3 and Stress is discussed in Chapter 8. There is no question that these 2 factors contribute to heart disease. Indeed, "stress reduction" has been one of the 4 core strategies of the Dean Ornish Program for decades! Presently, the medical community has acknowledged the role of vascular inflammation in cardiovascular disease, but still seems to not regard stress as significantly as it deserves. But why didn't Bowden and Sinatra also include "poor aerobic fitness" in their list of causes? (curiously, they also don't include hypertension or smoking in their list.) This, I believe, is one of 2 major flaws in this book. There is so much research showing how beneficial exercise is for the cardiovascular system that I now believe that your aerobic fitness level is THE most important variable! Regardless of which dietary factor is to blame, what then is the relationship between blood cholesterol levels and clinical events like heart attacks (myocardial infarctions)? Here is where the controversy really heats up. In Chapter 1, Sinatra summarizes the now-famous Lyon Heart Study. In this study, patients with confirmed coronary artery disease were placed on a Mediterranean diet. This led to a dramatic reduction in cardiovascular deaths. There was one perplexing finding however: blood cholesterol levels in these patients didn't change. He then explains that, in an evaluation of the cholesterol-lowering drug Vytorin, cholesterol levels did drop but plaque accumulation inside vessel walls actually worsened. He concludes by highlighting the findings from the ongoing Nurses' Health Study which found that following a diet similar to the Mediterranean diet, exercising, not smoking, and drinking alcohol in moderation were the key variables in reducing coronary events. Again, cholesterol levels didn't seem to have as much impact as these other variables. By the time you finish Chapter 2, you will really begin to question the conventional thinking on cholesterol. In Chapter 3, the authors explain how vascular inflammation is really a much more significant cause of heart disease than is elevated cholesterol. Chapter 5 discusses dietary fat. Here, the authors explain saturated fats, and, make distinctions between sub-types of polyunsaturated fats: omega-3's and omega-6's. A very good diagram of the various types of dietary fats appears on p. 75. In this chapter, the authors explain sub-types of LDL-cholesterol: "small, dense" and "large, fluffy." These will be new concepts for many readers. In Chapter 6, the authors describe some of the potentially-serious side effects and toxicities of statin-type cholesterol-lowering drugs. They identify Beatrice Golomb, MD, PhD, at UC San Diego, one of the world's leading researchers on the toxicities of statin drugs. I think they have done a good job here. Chapter 7 is a discussion of dietary supplements that supposedly enhance heart health. I would have preferred that the authors excluded this discussion. First, the efficacy of many dietary supplements is suspect because of variation in quality during production. But, second, and more importantly, author Bowden has a conflict-of-interest here: at the time this book was written, he was a co-owner in a for-profit company that sells dietary supplements. And it is also curious why nothing was said in this chapter of the one dietary supplement that has demonstrated the most dramatic effects on cholesterol: red yeast rice. Maybe the authors intentionally excluded this supplement because they don't think cholesterol-lowering matters? In Chapter 8, the authors explain how stress can contribute to heart disease. This chapter is done well. Chapter 9 is the final chapter. Here, the authors attempt to provide readers with recommendations. Most of these are dietary, but, they also emphasize reducing stress and being happy. 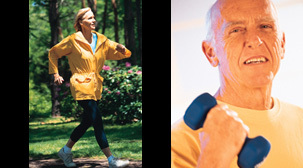 Unfortunately, they completely ignore the health benefits of exercise and daily physical activity. • Photos & Illustrations: No photos are provided. Several diagrams are presented; these are done well. • Tables & Graphs: This book contains 1 table and no graphs. • Documentation / Accuracy: The authors support controversial statements with numerous published clinical research studies. The Index at the end is good. • What I Liked: The writing style is excellent; complex physiologic concepts are explained in a clear and easy-to-understand way. The authors shift the focus away from cholesterol (and statins!) and towards other causes of heart disease. Authors Bowden and Sinatra have presented a very compelling argument against blaming heart disease (specifically coronary artery disease) on cholesterol or saturated fat. They support their controversial view with numerous published clinical research studies and explain why some landmark studies are flawed. This is good information. However, the book could be better if it included a thorough discussion of the cardiovascular benefits of exercise, and, by excluding the discussion on dietary supplements (Chapter 7). Ignoring the benefits of exercise for heart disease is the reason why I gave this book 3 stars and not 4 stars. 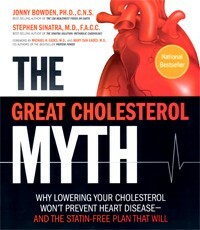 Nevertheless, I believe The Great Cholesterol Myth is mandatory reading for all patients with coronary artery disease. Primary care physicians and cardiologists should read this book as well!